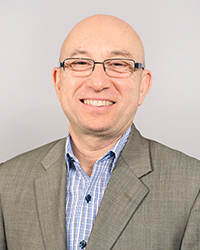 Dr. Flavio F. Marsiglia is the Distinguished Foundation Professor of Cultural Diversity and Health at the Arizona State University (ASU) School of Social Work and Director of the Southwest Interdisciplinary Research Center (SIRC). SIRC is an exploratory center of excellence on minority health and health disparities research funded by the National Center on Minority Health and Health Disparities of the National Institutes of Health (NIH). He has been Principal Investigator of clinical research studies such as Familias Sanas/Healthy Families, a hospital-based intervention study aimed at improving the interconception care of Latina mothers funded by the Centers of Medicare/Medicaid Services (HHS). In partnership with colleagues and several Arizona school districts and with support of the National Institute on Drug Abuse (NIDA) of the NIH he has developed and tested keepin’ it REAL – a substance abuse prevention Model Program for middle school students. Dr. Marsiglia was also the Principal Investigator of the NIDA/NIH funded social work research infrastructure center grant, one of only seven such grants awarded to schools of social work. Dr. Marsiglia has authored and co-authored more than 100 peer-reviewed journal articles, numerous book chapters and has co-authored a book entitled Diversity, Oppression and Change: Culturally Grounded Social Work. Marsiglia, F. F., Ayers, S. L., Baldwin-White, A., & Booth, J. (2016). Changing Latino adolescents’ substance use norms and behaviors: The effects of synchronized youth and parent drug use prevention interventions. Prevention Science, 17(1), 1-12. Marsiglia, F. F. (2016). Social work practice with Mexican Americans. In Coates & Hetherinton (Eds.) Decolonizing Social Work. New York, NY: Routledge.